Participants largely agreed on voter equity, not so much on school boards. 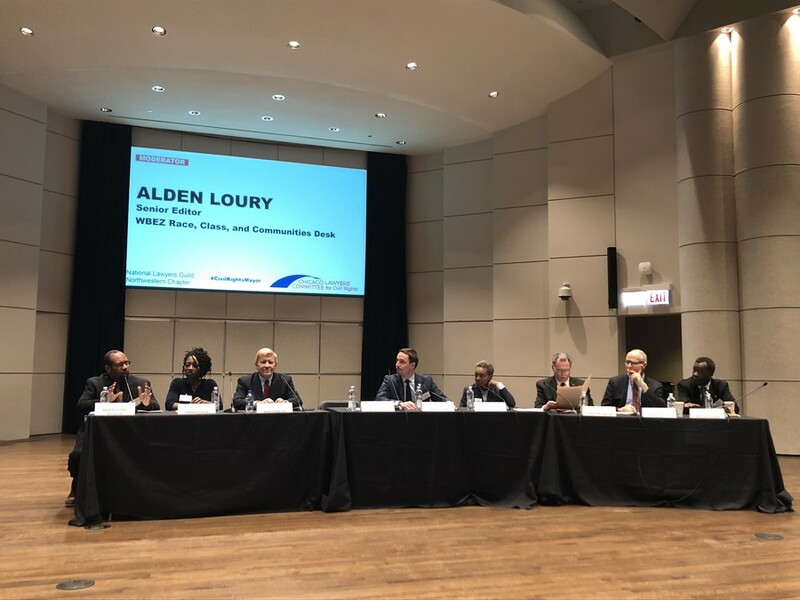 Seven out of this year’s 12 candidates for Chicago mayor gathered for a Mayoral Forum on Civil Rights, held by the Chicago Lawyers’ Committee for Civil Rights, at the Northwestern Pritzker School of Law on Monday evening. The forum took the form of a debate: Candidates were asked a series of questions that centered around civil rights topics in Chicago, including police reform, Chicago Public Schools, and voting rights. They had two minutes to respond and two minutes for rebuttals. The candidates were given time to introduce themselves and their platforms before the questions began. The three rounds of questions focused on voter disenfranchisement, policing, and education equity. The candidates largely agreed that the Chicago voting system is inequitable. McCarthy suggested that poor February weather in Chicago is an act of voter suppression in itself, stating that “ours is the only election held in February.” Vallas railed against the “pay to play” system, in which money is the determining factor of political success, including the idea of outside pay for aldermen. “This system is so enriching that there is no incentive to bring about reform,” Vallas said. Enyia mentioned the need to educate incarcerated voters on their ability to vote, and Vallas, Lightfoot, and Kozlar all raised the possibility of online voting. The question on policing referred to the candidates’ plans regarding police union contracts, which currently include terms that are widely viewed as problematic, including those that make it difficult to file complaints against officers. Kozlar proposed a “60–40 plan”, in which 60 percent of police officers would live in the neighborhood they had been assigned to. Kozlar, who has based his campaign largely on his youth and his claim to represent the values of millennial voters, proposed an ambitious plan to abolish the K–12 system and instead institute a K–10 system, which would allow sophomores to decide if they want to go pursue academics or go into trade. “College does not equal success,” he said. Enyia outlined several proposed revisions for Chicago Public Schools, which included structural changes that ranged from assessing the way CPS draws its boundaries to creating a whole Department of Equity as opposed to a single representative. She also argued that the public school system currently penalizes students in communities with decreasing populations. The Chicago mayoral election will be held on Tuesday, February 26.